I ramble on about affordances quite a bit; a big chunk of those posts was dedicated to figuring out whether they are relations or dispositions (answer: they're dispositions), and then there was all that arguing with Ken Aizawa about whether they are even anything at all (answer: yes, they are). The thing I've been a little worried about is that people might see all this and come away thinking, "Why should I care one way or another?". I wanted to spend a post reminding everyone why all this talk about affordances matters, and the reason is simply this: affordances are important because they influence our behaviour, for good and ill, all day, every day. I'd like to illustrate this with a story, and a few photos I've been accumulating recently. 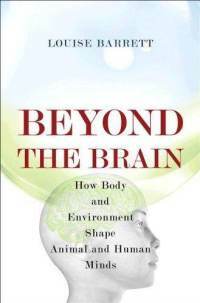 Review: Louise Barrett's "Beyond the Brain"
There are a lot of books about embodied cognition. 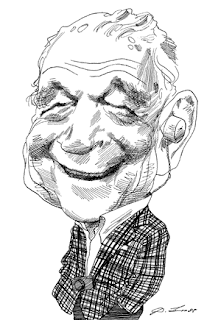 Like psychology itself, the idea that cognition might not all be in the head has fractured off into about 5 distinct flavours, most of them quite annoying and pointless.There are also quite a few books about the thesis of the 'extended mind' (Clark & Chalmers, 1998) ; the idea that cognition quite literally extends into our bodies and environments, in terms of the tools we use and the objects we interact with. It's getting quite hard to find a book on these topics that isn't a) simply rehashing old ground or b) trying to come up with it's own distinct flavour of embodied, extended cognition that fixes some problem of everyone else's. I find this sort of fracturing and endless bickering quite distracting and troublesome, for reasons best expressed by xkcd. I also agree with Tony Chemero, that much of this work is still, sometimes deep down, representational. I think this is because they fail to embrace a sufficiently useful theory of information, such as that proposed by Gibson. So I often find myself reading these books finding nothing new and far too much that's depressing. Louise Barrett's book, "Beyond the Brain: How Body and Environment Shape Animal and Human Minds" is, refreshingly, not like this at all. Barrett is a psychologist who studies animal cognition and behaviour, and her book does a lot of things very, very well. I'm not planning on a chapter by chapter book club on this, although I may at some point; Eric Charles has posted a few thoughts on the book as well, here, here, here, and here. To cut to the chase: if you are new to the area of embodied cognition, read this book. If you're familiar with the literature but want a clear, well-structured presentation of many of the key ideas, then read this book. If you're bored with the same old examples and want some new, perhaps more convincing examples of embodied cognition in action, read this book. And if you have heard some of the arguments but still think behaviour really comes from the computational activity of our complex brains, then, for the love of science, read this book. A couple of posts ago I raised the distinction between prediction and prospective control. I was trying to make the point that, if you are coupled to the right information, you don't need to be mentally simulating what's happening so you can run this simulation ahead and predict what's coming up. Prediction of this sort is invoked by representational cognitive scientists to cope with things like delays in the nervous system (e.g. Changizi's 'perceiving-the-present' framework). It's a risky business (if you make a mistake, you are suddenly controlling your behaviour according to an incorrect guess), and the better solution is prospective control. This is when you couple your behaviour to information in the world that doesn't tell you about the future, but that, if you use it for a while, will get you where you want to go. People requested some more on this topic, and so here we go. People also requested something other than the outfielder problem, but I am going to start with this problem because it is still the best example, and I'll get into some more as we go to demonstrate it's not just baseball where this works.